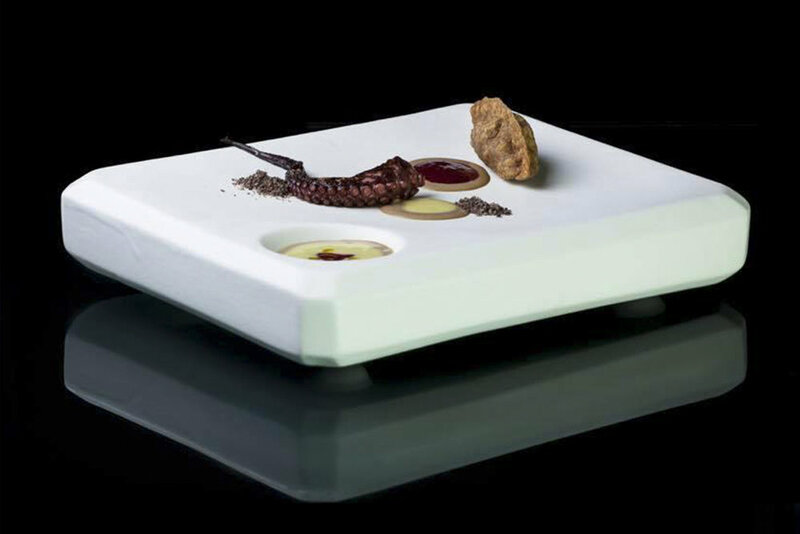 Mould dish is designed by me with the collaboration of three chefs. It is realized completely hand made for Al Cjasal restaurant. Ideal for the main course, and thanks its dimensions lends itself also for the second course. When I though this plate I wanted to create something that was similar to gypsum mould used by artisans to reproduce their ceramic animal production. They already use my collection of Chicche ( unique pottery made recovering ceramic surplus ) and they asked me to create a special plate to complete the meaning of the project Chicche. Every plate is similar but it can be the same to another. This is the the great value of this product.